As the news has reported, the FCC is in the midst of deciding on whether to eliminate Net Neutrality. So, what does this mean to communicators and businesses? First, what exactly is Net Neutrality? Net neutrality (also network neutrality or Internet neutrality) is the principle that Internet service providers and governments should treat all data on the Internet equally, not discriminating or charging differentially by user, content, site, platform, application, type of attached equipment, and modes of communication. Some service providers are pushing to regulate the flow of traffic through their networks for business reasons (i.e. revenue and profit), while free economy advocates are promoting the stance that traffic controls are unnecessary. Under the proposed FCC rules, Internet providers would be able to charge other companies for priority, high-speed, access to their users. The model is similar to the consumer cable TV model. For small to medium enterprises, it would make it more expensive and therefore difficult to compete with businesses that have deeper pockets. In addition, if Net Neutrality is abolished, ISPs could set policies to limit or even completely block traffic from targeted applications. Under the proposed rules, ISPs will be able to manage this or save these resources for more profitable services by limiting or eliminating high bandwidth traffic. Alternatively (or in addition), ISPs could charge premium prices to support high bandwidth applications on their networks. One example of this is video streaming. The FCC is also considering the possibility of defining ISPs as “common carriers,” like telephone companies, which are subject to greater regulation than Internet providers, under Title II of the Communications Act of 1934. If the FCC adopts this option, ISPs would be required to treat all traffic on their networks equally, just as telephone companies have to do on their lines. Every business today uses the Internet. As such, it is to understand the issue and make your voice heard. 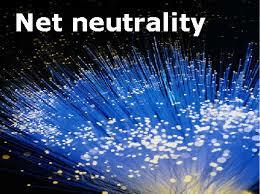 At Corridor, we favor maintaining Net Neutrality and deregulation of the Internet. After all, if it ain’t broke, don’t fix it.